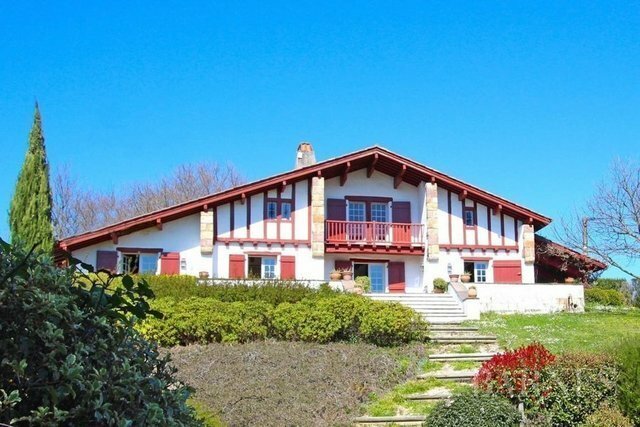 Arcangues, close to Biarritz, beautiful contemporary basque 200 sqm house on 2098 sqm garden, view of the mountain. The house offers larges spaces. Vast living room opening onto the terrace. Swimming pool and pool-house. Garage. Sauna. Quiet area.